Scientific articles have been traditionally written from single points of view. In contrast, new knowledge is derived strictly from a dialectical process, through interbreeding of partially disparate perspectives. Dialogues, therefore, present a more veritable form for representing the process behind knowledge creation. They are also less prone to dogmatically disseminate ideas than monologues, alongside raising awareness of the necessity for discussion and challenging of differing points of view, through which knowledge evolves. 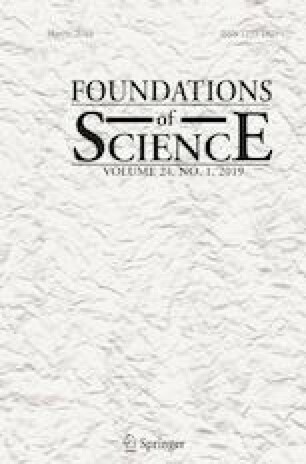 Here we celebrate 250 years since the discovery of the chemical identity of the inorganic component of bone in 1769 by Johan Gottlieb Gahn through one such imaginary dialogue between two seasoned researchers and aficionados of this material. We provide the statistics on ups and downs in the popularity of this material throughout the history and also discuss important achievements and challenges associated with it. The shadow of Samuel Beckett’s Waiting for Godot is cast over the dialogue, acting as its frequent reference point and the guide. With this dialogue presented in the format of a play, we provide hope that conversational or dramaturgical compositions of scientific articles—albeit virtually prohibited from the scientific literature of the day—may become more pervasive in the future. “At this place, at this moment of time, all mankind is us, whether we like it or not. Let us make the most of it, before it is too late!. And we are blessed in this, that we happen to know the answer. Yes, in this immense confusion one thing alone is clear. We are waiting for Godot to come”. Samuel Beckett, Waiting for Godot (Beckett 1953). National Institutes of Health award R00-DE021416 is acknowledged for support. Quoted phrases and many of the nonquoted lines originate from the English version of Waiting for Godot (Beckett 1953). The authors thank Sergey Dorozhkin for persuading us that the 250th anniversary ought to be celebrated and all the peers who have been supportive of our attempt to bring new life into research on this fascinating material in the recent years. Per CRediT taxonomy: VW—Resources; VU—Conceptualization, Formal Analysis, Visualization, Writing. There are no conflict of interest to declare.